The April stats have been released!! 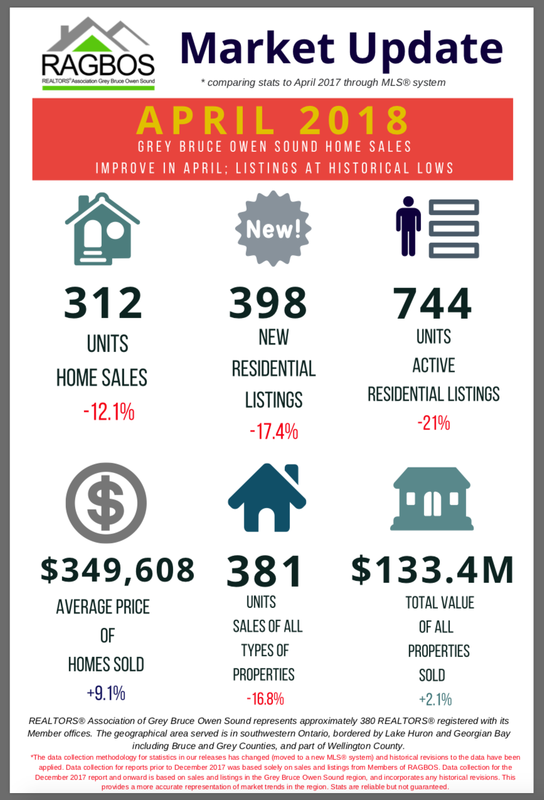 Boy, oh boy, does these ever paint a quick picture of what the Owen Sound and Grey Bruce Real Estate market are shaping up to be! With already historic lows in available inventory, we again saw a decrease in new listings coming to the board year over year. With that means that overall real estate transactions are down with homes for sale being down 12% year over year. Following the general rules of supply and demand we are seeing prices rise 9.1% year over year as the average house price comes just shy of $350,000. So what does this all mean to you? If you are a seller, the market is currently in your favour, so if the thought of selling, or discussion of selling has come up in your household, now may be the time! Now would this really be a real estate blog if I didn't include my contact information? To discuss the possible sale of your property, please do not hesitate to reach out to the Brand Realty Group at 226.909.2725, or feel free to swing into our Heritage Place in Owen Sound, and The Port Side Centre in Tobermory to discuss without any obligation at all! As for the buyers following our blog right now, the key point is to be ready. Make sure that you have all of your ducks in a row to the best of your ability. For more information on what ducks I am talking about please feel free to check out my other blog for buyers here, or please reach out to any one of us at the Brand Realty Group, and we would be happy to help you prepare for your real estate purchase!